Due to our wide range of products, EAE E-Line Busbars are easily adapted to any electrical installation, whether in the service or industrial sector. Because of their modular configuration, Busbars used for transmission and distribution of electrical energy can be modified and adapted while they are being engineered, and possibly even after they are installed. Our unique plug-in system (with various points arranged at calculated distances), allows any changes or replacements to be made without the need to shut off the power supply. 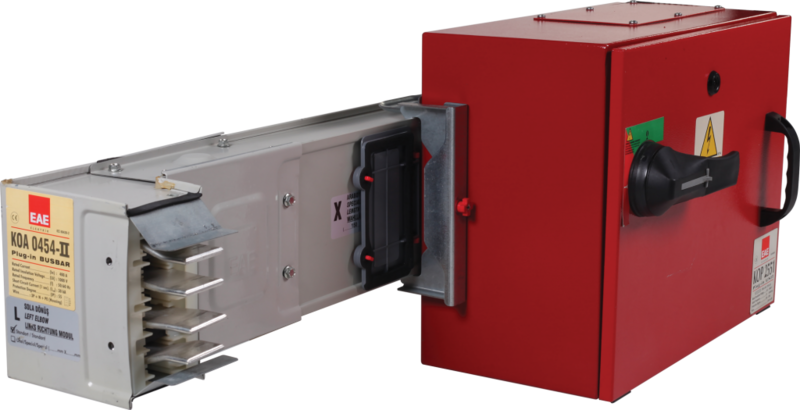 New bolt-on or plug-in type designed for transmission and distribution of electricity in large scale installations and buildings. With improved characteristics. Bolt-on: for transmission and distribution of electricity with outlet only on joint. The “DURACOMP” composite material which has high temperature and mechanical working strength constituted by specially selected pure silicon minerals and epoxy resin protects E-Line CR busbar from external impacts. Bolt-on or plug-in type system designed for transmission and distribution of electricity in large scale installations and buildings. Provides economical solutions for transmission and distribution of electricity in medium-scaled buildings and industrial facilities. Plug-in type designed for transmission and distribution of electricity in small scale enterprises. Plug-in type designed for distribution of electricity in small scale enterprises. Plug-in type designed to feed lighting luminaries. E-Line DL group Busbar Systems are used in buildings and industrial plants on lighting and socket circuits where 25A, 32A or 40A Three-phase or Single-phase power is required. 10 / 16A output sockets (with or without cartridge fuse) or 25A output boxes with a cartridge fuse or automatic fuse are specially designed to supply lighting and socket circuit as per their specifications. • Non inflammable full length halogen-free insulation on tin-plated copper conductors. Double-circuit busbar systems are used in lighting and socket circuits at offices and work places, and in Industrial plants on lighting circuits. (2+2)…(5+5) different conductor combinations are available. 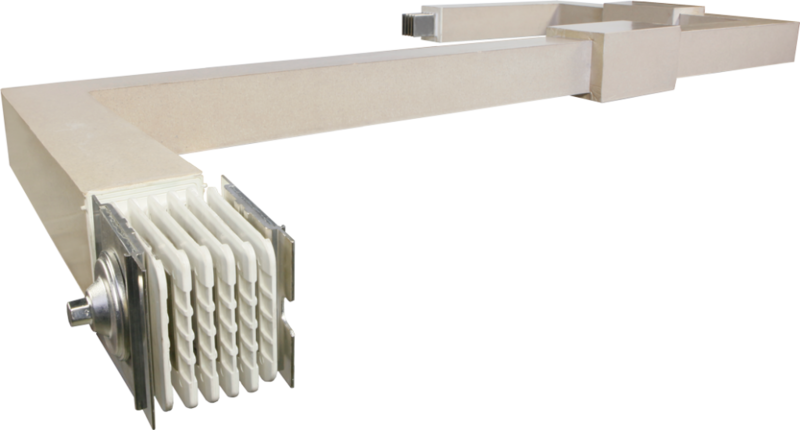 A single-circuit Busbar system has been produced basically as the equivalent of the E-Line KAM lighting Busbar series. It is used in factories and car parking areas for single-circuit lighting supply. Three-phase and Single-phase usage possibility and 2, 3, 4 and 5 conductor options in Single circuit are available. It is used for both the power supply and also the control line on DALI-controlled lighting circuits in buildings and industrial plants. (4+4) or (5+4) CE (clean earth) conductor options in three-phase applications or (2+4) or (3+4) CE (clean earth) conductor options in single-phase application are available. It is used in buildings and industrial plants on lighting circuits, for dimming the fixtures which are used with ballast with a corridor function and also on power supplies. Three-phase application is available. 5+4 conductor option.